"Mike loved taking photographs back when he was young and pursued it after graduating college. We took baby steps; learning every trick we needed to add art to our photographs. There was room for improvement daily. I can really feel the passion just yearning for so much more in him. Then, not for long, we established our own photography business. 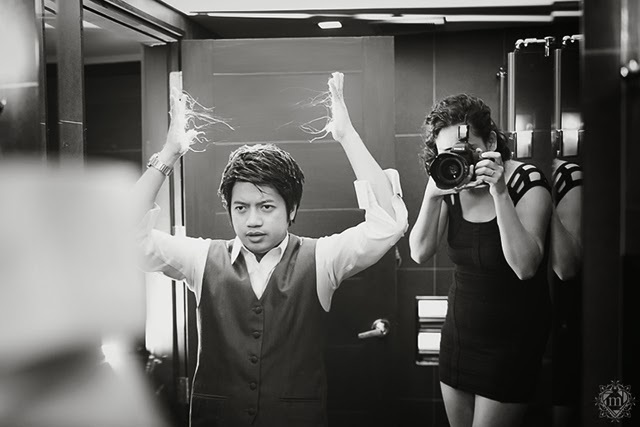 We started with prenuptial shoots and pre debuts. Finally, we then decided to be wedding photographers. 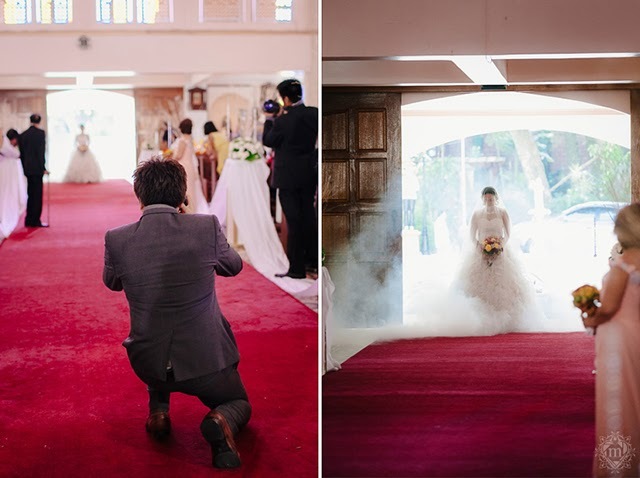 Ruffa's walk down the aisle is probably one of the most wonderful scenes I have seen yet. 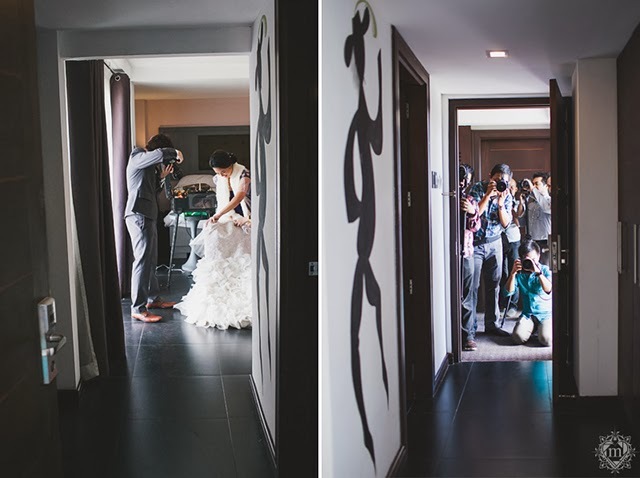 Mike eagerly awaits his bride's entrance--and when Ruffa does emerge from the doors, he kneels down to take photos of his beautiful bride. 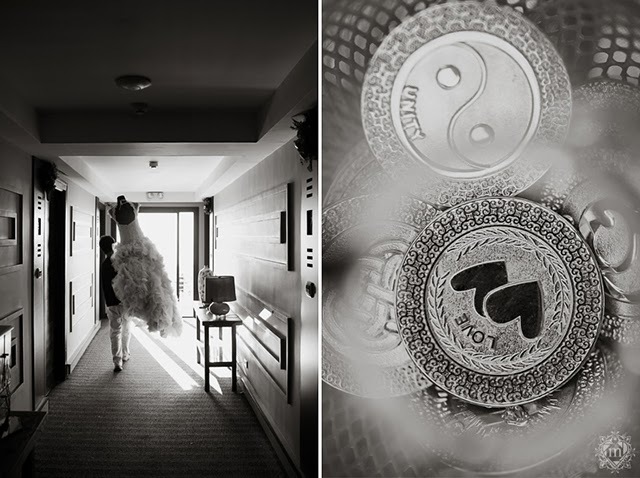 It was a testament to their relationship, their journey, encapsulated in this one moment that defined their wedding. 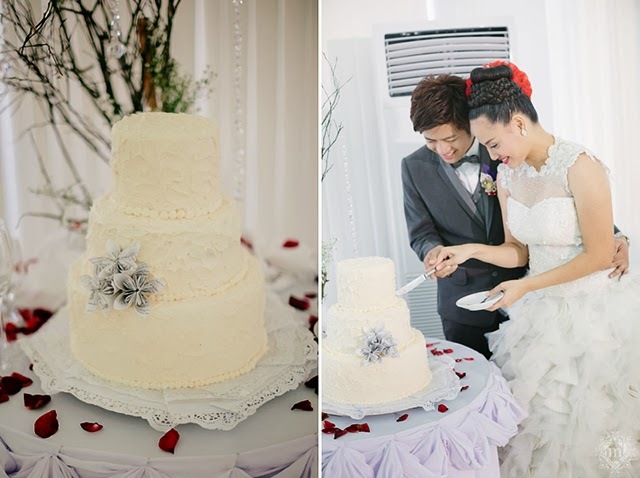 Ruffa, being a photographer, submitted the most detailed account of their wedding. It's like reading a novel which we 'd like to share here in this feature. And just like a novel, we hope you can take a few minutes of your time to savor the words, the moments, and let it envelop you. But wait, before we go into Ruffa's article, I just have to get this out of the way. 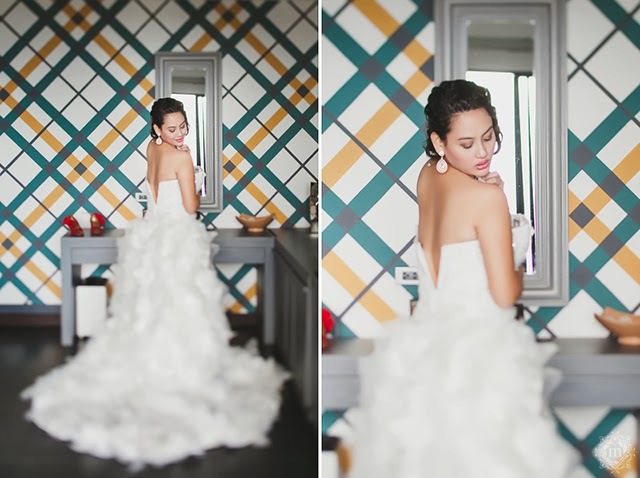 Can I just say that Ruffa is such a gorgeous bride?! She's like a chameleon because her angles are so different, showing different sides of her beauty. There was this one particular shot where I seriously thought she was Sarah Lahbati (for those who don't know Sarah, she's a GMA 7 talent). 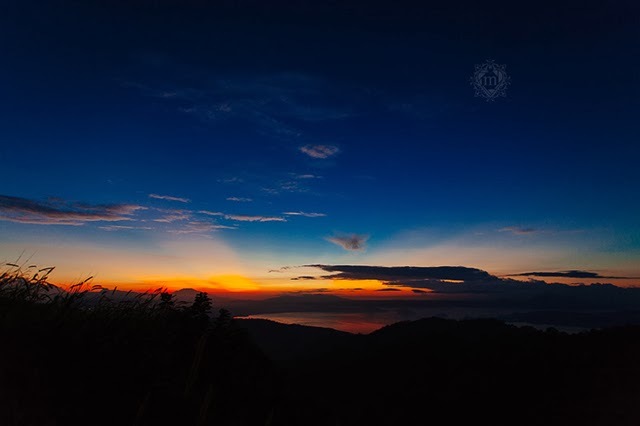 Sunrise in Tagaytay; I know it was God's wedding gift, but truly it was a different kind of beauty that day. It was golden, then it slowly melted into tones of red, orange and yellow. Lastly was the perfect kind of clear blue. The sky there was truly a perfect one to wake up to on the day of your wedding. Then it was finally time to wear my gown. It was actually that part when everything began to sink in. As I helped myself slip through my gown, memories of me and Mike together flashed before me. I tried to hold back my tears and told myself to save it for later. 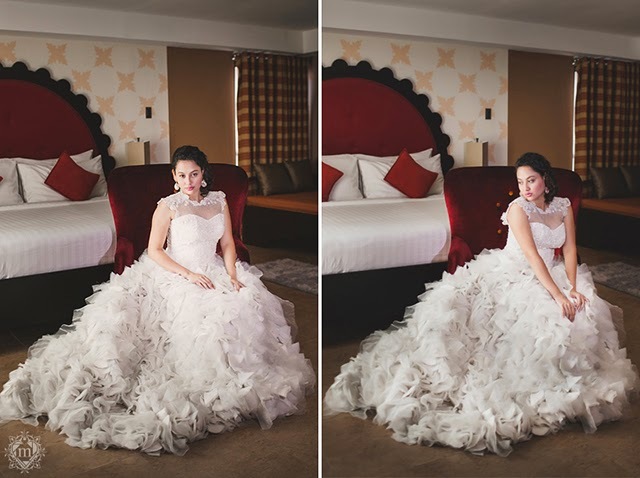 We took bridal shots at the hotel before heading to the church. I prayed that I wouldn't fall off the staircase, not because I'd get hurt, but because the hair and make-up was perfectly done and I might also end up ripping my beautiful gown off, which was going to be sad haha! But thankfully I made it! The ceremony begins. 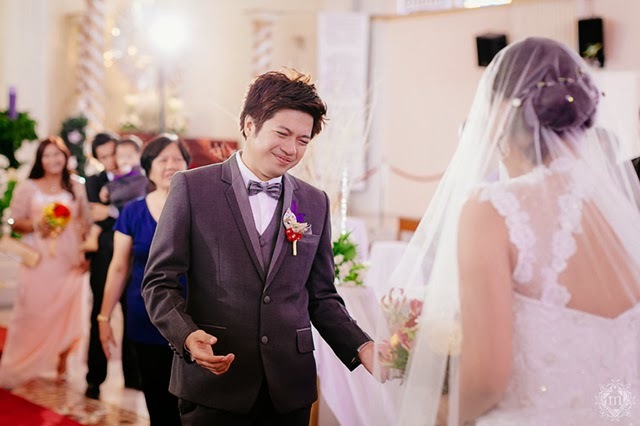 I was outside the closed doors of the beautiful Our Lady of Lourdes Parish, hiding my shaking hands and knees in a wonderful Joel Bautista gown, discreetly nodded in a 5-foot long veil. This was it. I was half in tears when I was beginning to hear the bridal march song echoing beautifully. The chorus went in and so the church's doors opened in on me. The timing was epic. These were the most highlighted tasks I gave my coordinators, and they did it perfectly. It was dreamy. The fog machines were set along with the song. It was truly a bridal dream moment. It truly was my moment. Did I mention that as if things couldn't get more dreamy for me, there was Mike, at the end of the altar, taking pictures of me walking down the aisle on our wedding day. This time it was his bride he was taking beautiful pictures of. This time we'll be the ones saying "I Do." 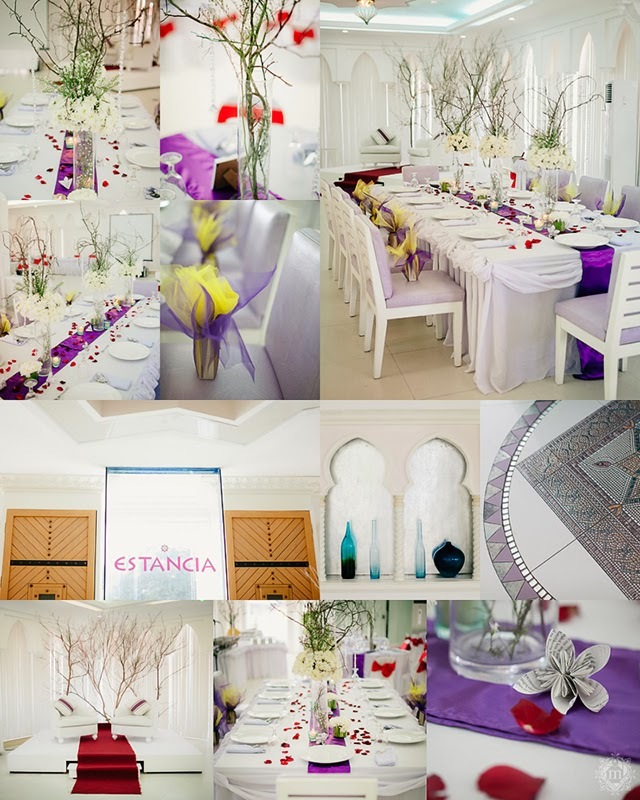 We tied the knot at Our Lady of Lourdes Tagaytay, getting ready at Theodore Hotel and Reception at Estancia Hotel, thank you to our account manager Ms.Tracy Samonte who helped us all throughout . 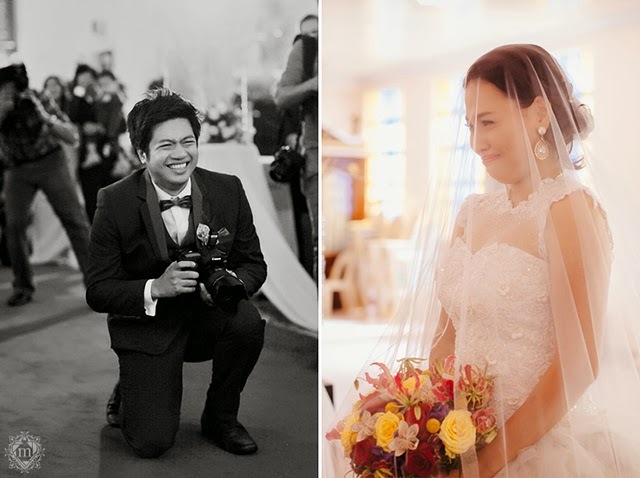 Our photographer friends, thank you! The Ruffa and Mike Team with our best apprentice friend Pol Tiglao as the main photographer. Thank you for being great people and helping us that day. Thank you for the hard work and efforts. We really appreciate everything! To Jake Olaso and team, the SDE bring smiles to all of us. We’ll never get tired watching it. I love the part when you captured mike-taking photos of me; I know it was Jake holding the camera then. Salamat Tol! My very lovely gown from Joel Bautista you know I love you! 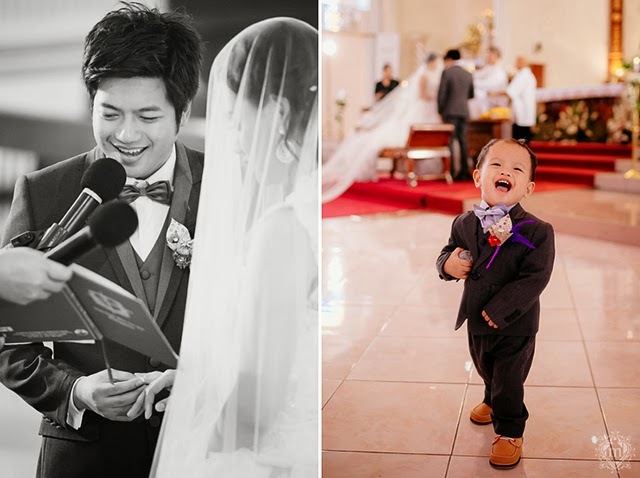 Mike and RM's suit by Jazel Sy, thank you! They look so handsome and dashing with your creations. Jazel is so transparent, she would tell us what would fit my two boys. And with her expertise the suits are perfect! I also got my super quaint wedding purse gift from her! Beverly Ochoa, Thank You for making us beautiful! You’re the best! 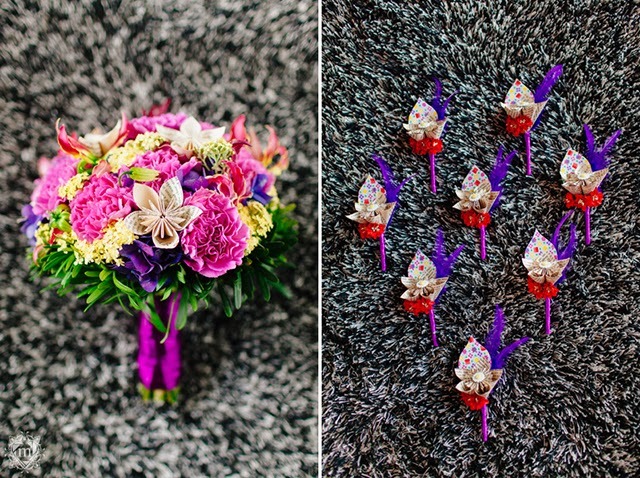 A wedding bouquet is one of the most awaited bridal accessory. I'll admit that I was excited to see and hold mine back then. The wedding bouquets arrived a day early, so imagine my anxiety as to how they'd look right on the wedding day! 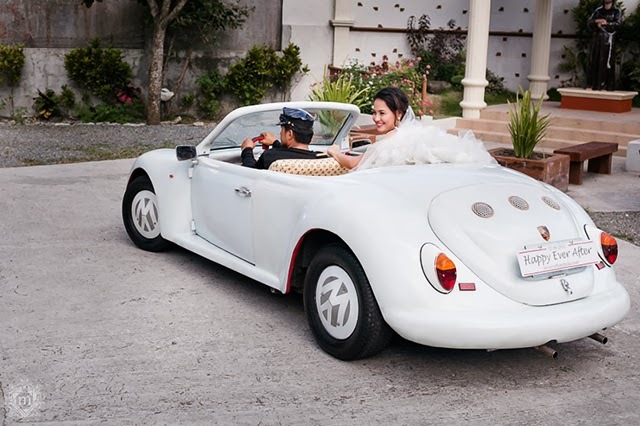 Thankfully, all the beautiful creations of Vatel Manila made it perfectly on the big day! I know it might sound too good to be true, but you be the judge after looking at the beautiful bouquets. We fell in love taking photographs of them, that we shot them, especially the bridal bouquet, for an hour! We didn't even realize it then. 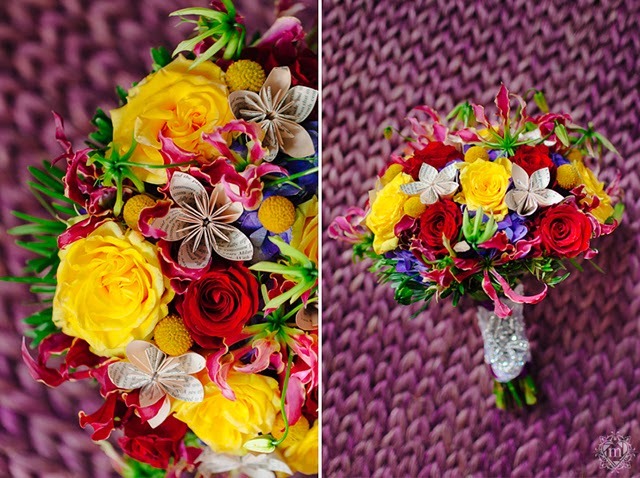 We take photos of bouquets all the time, but it usually takes around 15 minutes. It really is different when you've fallen in too deep with the bouquet of your dreams made by every couple's dream florist! ;) Don't get us wrong, there are so many great florists in the biz, it's just that they fit our taste just right. 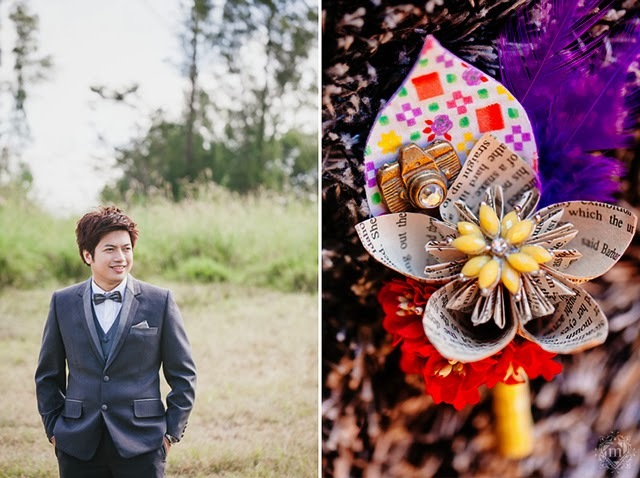 :) On the men's side, ETC Handmade Goodness has these equally adorable DIY'ed boutonnieres! They really got what Mike and I were hoping for! The materials and colors were really well thought of and put together. Velvet Mood, the music’s perfect! All our requested songs was sang and played very entertaining. I must say that I am blessed to have family and friends that gave us wedding essentials. My cousin Hanzel who is also a big fan of DIYs was the one who made me the ring pillows and coin holders! Another gift from Maggi was the perfume I wore that day. Well everyone who knows might have a clue on why she might have given me that perfume. It's because I'm an Anne Curtis-die hard :p Our friend Earl sang for us at the reception. Our coins from Unity Coins are also a gift to us by Sir Abet and Ms. Benz Rana. Thank You. The wedding elegant candles were gifts from The Wedding Cord. Thank you so much Ms.Mitch Garcia.